Ultimate Fighting Championship (UFC) bantamweight titleholder Cody Garbrandt is calling his shots, which I suppose is one of the spoils afforded to a Spartan who turns gods into mortals. So now that he’s disposed of former division kingpin Dominick Cruz, thanks to a commanding performance at UFC 207 last Friday night in Las Vegas, the undefeated power puncher is setting his sights on greener pastures. First stop? A featherweight super fight against Team Alpha Male nemesis and current 145-pound kingpin Jose Aldo. Aldo hold wins over TAM mainstays Urijah Faber and Chad Mendes. 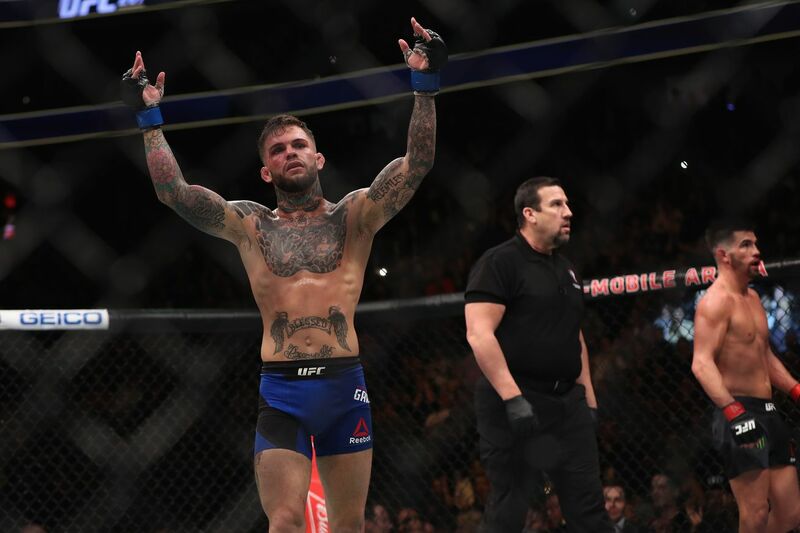 Garbrandt (11-0) — still just 25 years old — has looked unstoppable since joining the ranks of UFC back in Jan. 2015 and already has nine finishes in 11 wins. Prior to his pay-per-view (PPV) victory over Cruz, “No Love” smashed and trashed Thomas Almeida and Takeya Mizugaki. But I think this guy might have a problem with all of this Aldo talk. Fightweets: Has USADA ruined its credibility with the UFC roster?